This coolers’ line was created specially for people who lead an active lifestyle. But it’s not a great surprise, what did you expect from the manufacturers who are specialized in extreme rafting? Beside cool name these coolers can boast of the good duration of ice retention period. During several experiments that have been held by our research team in the hot summer period these ice chests showed very good results. We could see the ice inside cooler even after five days under the scorching rays of the summer sun. 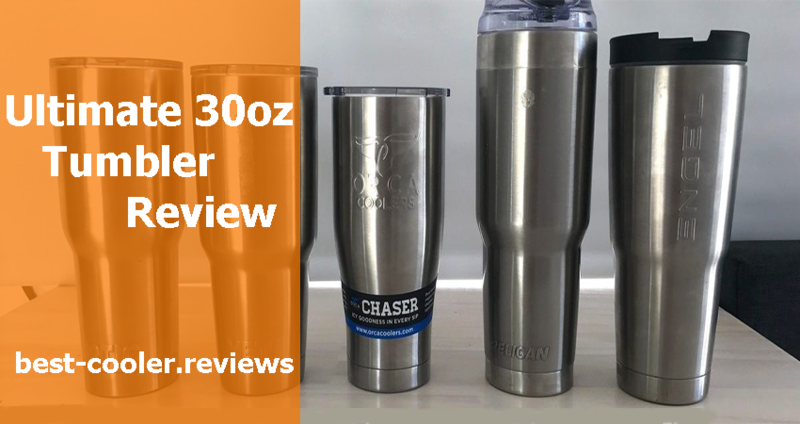 These coolers are not extremely popular nowadays but they can show results that will be not worse than other incredibly famous coolers (such as GRIZZLY, Pelican or Yeti) can show. The worst thing is that coolers are rarely available for purchasing. What can They Offer to us? Main Features of Black Rock Ice Chests. Firstly let’s consider available sizes of the coolers of Black Rock line. 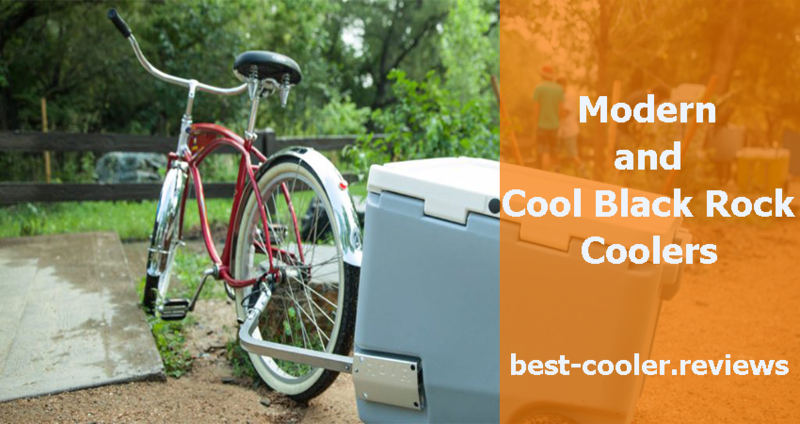 The first thing you need tothink over is which size of cooler do you need and which color you’d like to choose. Unfortunately this line can’t offer you a great variety of colors available, but actually it will be very strange if together with serious name of “Black Rock Coolers” you will have a choice between pink or blue options, quite inappropriate and ridiculous, yeah? 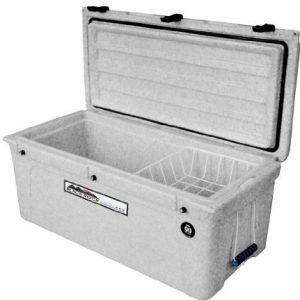 These coolers were specially designed in a grey color with white dots in order to hide all possible scratches and stains, so you cooler will look like new even after many years of using. So, we have grey color coolers with the variety of sizes available. You are able to choose the most appropriate option for you among 55L, 70L, 90L, 110L, that have the rectangular shape or to purchase 60 or 45 quarts size options with the square shape. It depends on your preferences how you want to spread your staff inside the ice chest. Both types of shapes that are available are very portable and convenient to carry. Speaking about durability level, we can say with confidence that these guys are on the top level together with other well-known options. 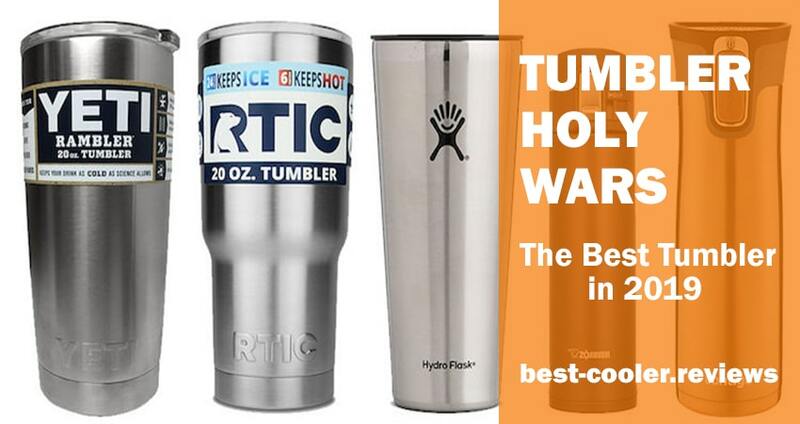 Current coolers are created by using rotationally molding technology that is the good indicator of high-end options. Also they are bear resistant (certified) so the durability of their construction is much more than just not bad. 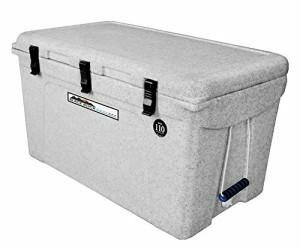 Black Rock coolers are equipped with the tough latches designed by the T-grip technology and the special kind of foam with the high density that fills all walls of the cooler providing the perfect level of insulation. 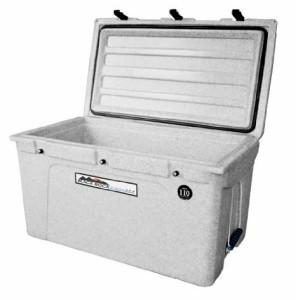 In addition to this coolers will provide you with the convenient plug for draining and wire rack that can be removed if you don’t need it. It is a very useful thing because it can protect you sandwiches or other food from socking. Convenient durable handles and a gasket for the freezer are also among main advantages of current options. Shortly speaking the Black Rock coolers are a very good option to consider thanks to the successful combination of price, durable construction, good ice retention period, convenient and portable shape and minimalistic design. The main features of good high-end coolers are perfectly implemented here.